This is the Speed Passion Competition V3 10.5R Sensored Brushless Motor. 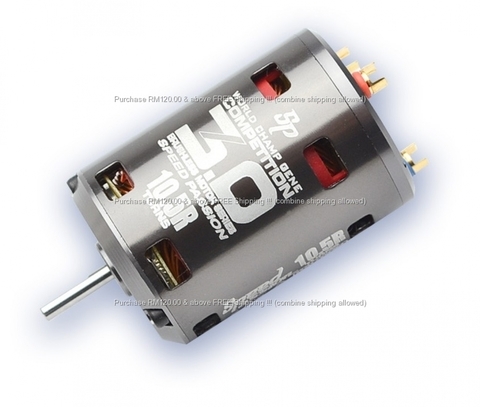 This motor is a stable, reliable power source for your high performance touring car. 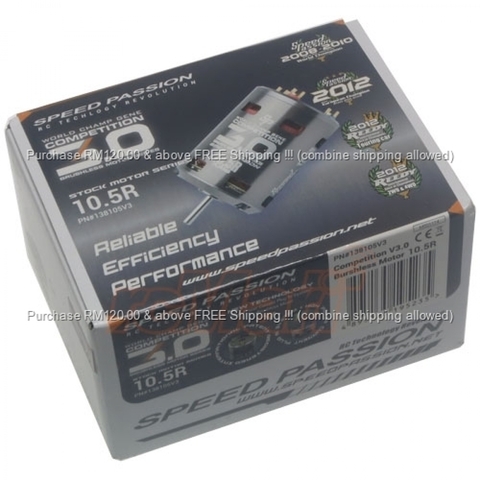 With new adjustable timing features, a new high current ESC connection system, and improved efficiency, the V3 from Speed Passion is in a class by itself. World champion genetics, with the power and reliability that you have come to expect from Speed Passion, now you have the tools you need to take the checkered flag.